The Group Executive Director, Strategy, Portfolio Development and Capital Projects, Dangote Industries Limited, Mr. Devakumar Edwin, has appealed to the Federal Government to embrace the use cement for the construction of its roads in order to ensure their durability. Edwin, who made the appeal in an interview with Channels Television, said it would be to the benefit of Nigerians and the Federal Government to if concrete for the construction of roads was embraced in the country. Aside from being very cheap, he said concrete roads were more durable and that their maintenance cost was near zero. Edwin stated, “We are pushing for Nigeria to do concrete roads. It is cheaper to do a concrete road that will last 50 years than to do a bitumen road. He explained that concrete roads had longer life span of 50 years or more compared to asphalt roads that could barely last 10 to 12 years. Unlike asphalt roads, a concrete road does not require frequent maintenance and patching, he stated. Concrete roads, according to him, also have the advantage of not getting deflected under the wheels of loaded trucks, this makes trucks to consume 15 per cent to 20 per cent less fuel compared to when they move on asphalt roads, and have resistance to automobile fuel spillage and extreme weather. The Dangote Group has commenced the construction of concrete roads in various states across the country, particularly in Lagos, Bauchi, Kogi, Kaduna and Ogun. 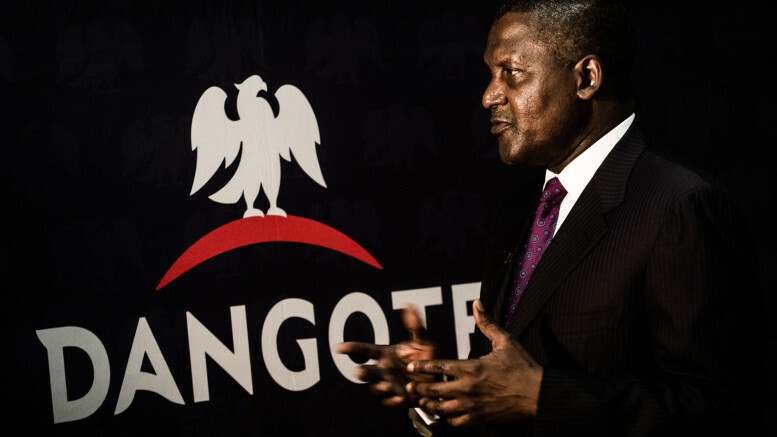 Be the first to comment on "Dangote Assures Nigeria of Durability of Concrete Roads"